In old English, a folly was an area of dense vegetation- clean and unspoiled. 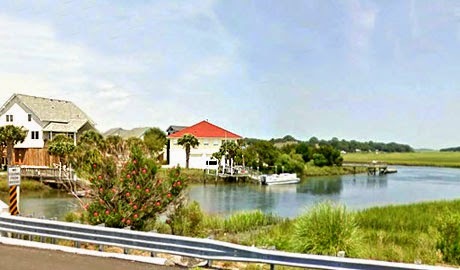 That is just the right description for the beautiful island that is Folly Beach with its lush and appealing landscape. It is an island rich in a varied and fiercely independent minded history that has helped shape it into the vibrant community we know today. The earliest record of Folly dates from 1696 when it was deeded as a royal grant. The island was at first a favorite of pirates such as Stede Bonnet and Black Beard! It was also known for its shipwrecks, including the brig Amelia. Once commonly referred to as Coffin Island, Folly Island was one of several barrier islands where ships were required to deposit sick passengers before moving into Charleston Harbor, thereby reducing the risk of disease epidemics there. On their trip out of the harbor, ships would stop and pick up those passengers that were still alive and lay to rest those that did not survive. Macabre beginnings no doubt, but its location would thankfully lend itself to a much brighter future. The original pavilion was built in the 1920s, and rumors abounded that Folly was a hideout and drop off for Lowcountry bootleggers during that age of Prohibition. George Gershwin was drawn to the island and in 1934, he wrote the musical Porgy and Bess and the classic line “Summertime, and the living is easy,” while staying there. Being the closest beach to the heart of Charleston (just 10 miles away), it was only natural that Folly Beach would ultimately develop into a playground instead of a cemetery. Known by Charlestonians as “the edge of America,” Folly Beach is home to numerous surf spots including the "Washout". Despite its normally calm oceanic conditions, the Washout has helped Folly Beach gain prominence as a more popular surf spot on the East Coast. Do not be fooled, Folly Beach is for more than the surf's up crowd! It has developed into a very eclectic community welcoming all types of individuals from bird-watchers and fishermen to kite-boarders, kayakers to sunbathers and beach-combers. Folly Island served as a camp for Union troops beginning in late 1863. Even ghost hunter enthusiasts can find a rich haunting history nearby in Charleston and the other local islands, with walking tours offered from several local businesses. Its bohemian atmosphere, classic beach downtown area, history, and stunning natural beauty beckon and welcome all types of beach lovers who wish to call the South Carolina coast their home. Six miles of beautiful beaches, and endless miles of river, marsh, tidal creek and Intracoastal Waterway properties provide endless backdrops and beautiful scenery for homes, condos, villas and townhomes. Folly Beach has become a long-standing favorite destination for returning vacationers due to its variety of surf and gift shops, restaurants, offices, and night spots, the island offers some of South Carolina's best values in coastal property for both the vacation investor as well as potential resident. 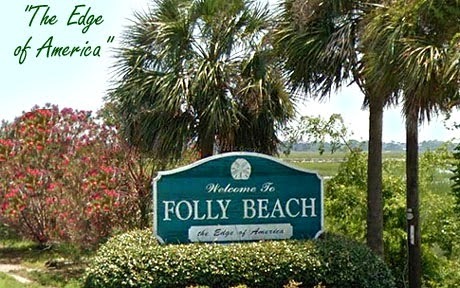 Come experience the area on our Folly Beach web page, and see the available property for sale. Or call us at (843) 871-1710.